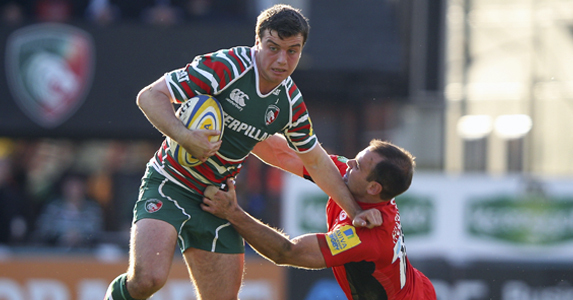 Leicester reached their eighth straight Premiership final with a hard-fought win over defending champions Saracens. As you would expect when these two teams go head-to-head, it was a ferociously physical contest, but it was Leicester’s guile rather than their brawn that produced two decisive tries – Alesana Tuilagi and Steve Mafi crossing the line. In the 47th minute, George Ford produced a scything break through the Sarries defence – his second of the game as he demonstrated huge potential ­– and that set Manu Tuilagi off towards the line. He was brought down 5m short but Leicester recycled, spread the ball wide and Mafi crossed in the corner to give the Tigers an 18-12 lead that they never let slip. Ford’s talent was clear to all with his ability to control the game at just 19 years of age while also producing some class touches and breaks, but he did make a few mistakes. Marcos Ayerza was the standout performer for me. Not only did he give Leicester a solid platform up front in the scrum but he was an ever-present in defence, putting in a couple of massive hits. Both teams gave away a lot of penalties and Leicester will need to be more disciplined when they face Harlequins in the final as Nick Evans will punish any misdemeanours, just as Owen Farrell did here. Leicester’s lineout creaked during the game so they will need to work on that, too, over the next two weeks. Quality first-phase ball will be needed at Twickenham. 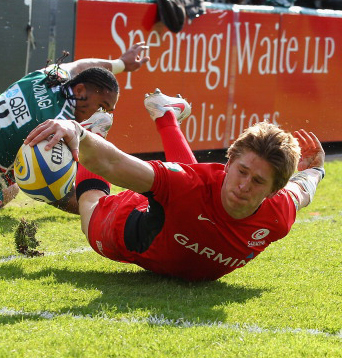 Saracens put plenty of width on the ball, especially in the first half, but they couldn’t get across the line. If they work on their finishing in the off-season, they should have the impressive ability to play both a pragmatic and attacking style in the next campaign. Leicester have now won their last 12 semi-finals in all competitions. LEICESTER: Geordan Murphy (capt); Horacio Agulla, Manu Tuilagi, Anthony Allen, Alesana Tuilagi; George Ford, Ben Youngs; Marcos Ayerza, George Chuter, Dan Cole (Martin Castrogiovanni 60), George Skivington, Geoff Parling, Steve Mafi, Julian Salvi, Thomas Waldrom. 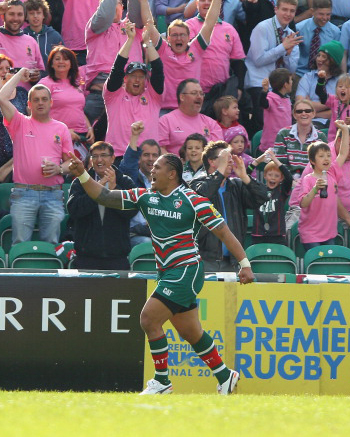 Tries: A Tuilagi, Mafi. Con: Ford. Pens: Ford (4). SARACENS: Alex Goode; David Strettle (James Short 67), Owen Farrell, Brad Barritt (Adam Powell 78), Chris Wyles; Charlie Hodgson, Neil de Kock (Richard Wigglesworth 54); Rhys Gill (John Smit 78), Schalk Brits (Jamie George 78), Matt Stevens (Carlos Nieto 61-74), Steve Borthwick (capt), Mouritz Botha (George Kruis 49), Jackson Wray (Hugh Vyvyan 79), Will Fraser, Ernst Joubert.